Confucius' text, Zengzi's comments on illustrious virtue, renovation of the people, the highest excellence, the root and the branches, investigation of things, having the thoughts sincere, the rectification of the mind, the regulation of the family, the well-ordering of the State, making the whole kingdom peaceful and happy. The Great Learning is a short text generally attributed to Confucius, for the first chapter, and his disciple Zengzi for the ten following commentaries. It is the first of the Four books which were selected by Zhu Xi in the Song Dynasty as a foundational introduction to Confucianism. 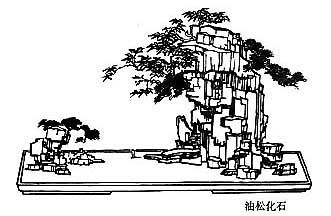 It was originally one chapter in Li Ji (the Classic of Rites). A part of Legge's introduction to his translation of the book is quoted below. This Treatise has undoubtedly great merits, but they are not to be sought in the severity of its logical processes, or the large-minded prosecution of any course of thought. We shall find them in the announcement of certain seminal principles, which, if recognised in government and the regulation of conduct, would conduce greatly to the happiness and virtue of mankind. I will conclude these observations by specifying four such principles. Second. The insisting on personal excellence in all who have authority in the family, the state, and the kingdom, is a great moral and social principle. The influence of such personal excellence may be overstated, but by the requirement of its cultivation the writer deserved well of his country. Third. Still more important than the requirement of such excellence, is the principle that it must be rooted in the state of the heart, and be the natural outgrowth of internal sincerity. 'As a man thinketh in his heart, so is he.' This is the teaching alike of Solomon and the author of the Great Learning. Fourth. I mention last the striking exhibition which we have of the golden rule, though only in its negative form:– 'What a man dislikes in his superiors, let him not display in the treatment of his inferiors; what he dislikes in inferiors, let him not display in his service of his superiors; what he dislikes in those who are before him, let him not therewith precede those who are behind him; what he dislikes in those who are behind him, let him not therewith follow those who are before him; what he dislikes to receive on the right, let him not bestow on the left; what he dislikes to receive on the left, let him not bestow on the right. This is what is called the principle with which, as with a measuring square, to regulate one's conduct.' The Work which contains those principles cannot be thought meanly of. They are 'commonplace,' as the writer in the Chinese Repository calls them, but they are at the same time eternal verities. Original Chinese text can be found in traditional characters and simplified characters. Text has been slightly modified. James Legge's English translation is available in galileolibrary. Traduction française de G. Pauthier, dans le Ta Hio ou La Grande Étude, ouvrage de Khoung-Fou-Tseu (Confucius) et de son disciple Thseng-Tseu, traduit en latin et en français. Publié la première fois en 1837. Réédition au Prieuré, 1993. Cette traduction est vénérable et reflète assez bien les aspirations positivistes du traducteur et de son époque. L'autre interprétation française est « faite maison ». Elle essaye de proposer une lecture différente du texte, en traduisant par exemple le caractère 德, de, par « puissance » ou « puissance morale », au lieu de « vertu », qui peut prêter à confusion en laissant penser que ce traité politique à l'usage du Prince lui enjoindrait cycliquement d'être vertueux afin d'obtenir la vertu. French, Martine Hasse, La Grande Étude, Cerf, 1984, ISBN 2204022810. Alias Daxue, Da Xue, Ta Hsue, Ta Hio, Great Learning, Adult Study (Pound), Grande Etude.